A disappointment for us all last night and a defeat by a highly efficient and, in some positions, very talented Atleti side. 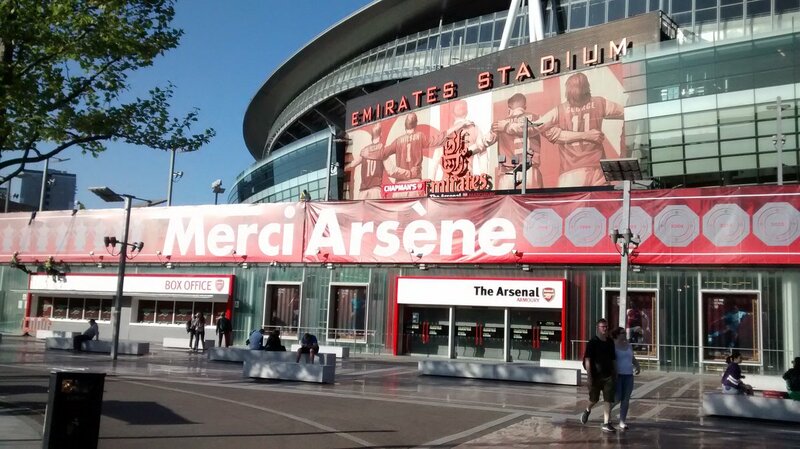 It was not the Wenger Wandaland we were hoping for (and you can thank your God that you have not had to put up with that headline in every paper this morning). And a sad night for Arsene who surely must have felt Madame Fate owed him one final, good hand before he leaves the game. As experience teaches Fate is implacable. Of the game itself last night on this blog provided just about the full range of analysis from conclusions, from identifying the individual errors and naming the culprits, to a review of the general psychology of the club and the stasis that gripped us over two legs against the Spaniards when the opportunity was there to strike decisively, but we did not. There was a view that we simply do not have the quality of players to compete at the highest level. All valid views and probably a little truth in each. However I retain the view that we are a good side and were narrowly beaten by a slightly better side last night, it was the semi final after all and almost certainly contested by the best two teams left in the EL. Atletico Madrid are seasoned knock out campaigners, their form since Christmas has been excellent. The advantage of playing the second leg in their highly charged home stadium will have suited them perfectly. The two goals that defeated us may have come from errors but those imperfections/misfortunes we seized on by first Griezmann and last night Costa and buried immediately. We were not playing against Charlie the Carthorse as we are often confronted with in the PL and have tackled in previous Europa League games. And Atleti’s defence ? de primera categoría/red hot. I know I know “Excuses, excuses, excuses”. Nevertheless I thought our lads gave all they had last night. I have no complaints. We stand at the open door of a new era. There will be changes of playing and backroom personnel. Some of those changes will excite us and be those we would have chosen. Others will puzzle and grate. What will be most interesting is whether the next manager will being a new “ethos” to the club. To do that he will need character, as well as to be allowed the time, resources and energy, to steer the vessel with the sure hand that has guided us for the past 22 years. And he will need the fans. It is a mighty job. I shall see you on Sunday. Be good and be positive. 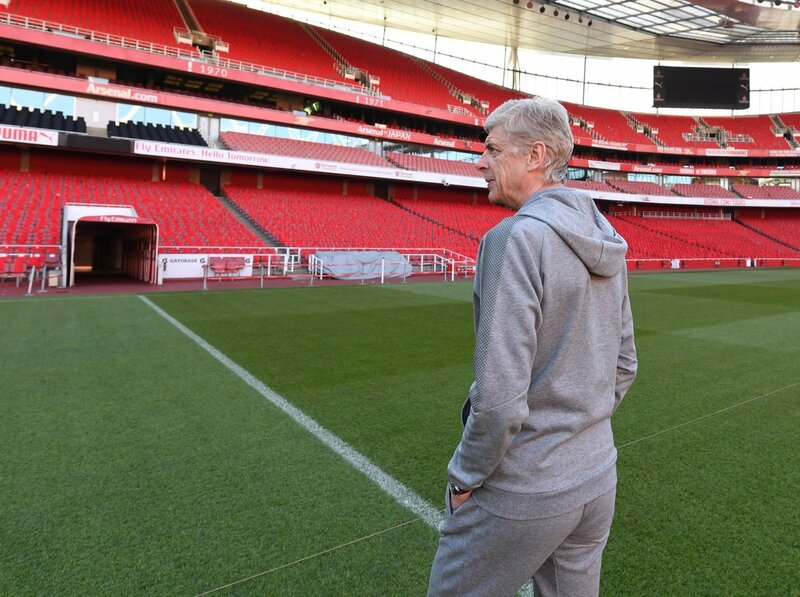 ← Come On Arsenal, Do It For ……..Me. Really encoraged by the players that started for England tonight. Xavier Ameichi Played Left Wing in the first half in the second half was moved to Right Wing and completly took over the game . They were the only players moved around the pitch and showed equal ability in all the positions they played . 3 – Manchester United have lost to all the three newly promoted sides this season. Embarrassing. Any guesses what sort of team we’ll go for tomorrow? Think a win ends Burnley’s 6th place effort (?) 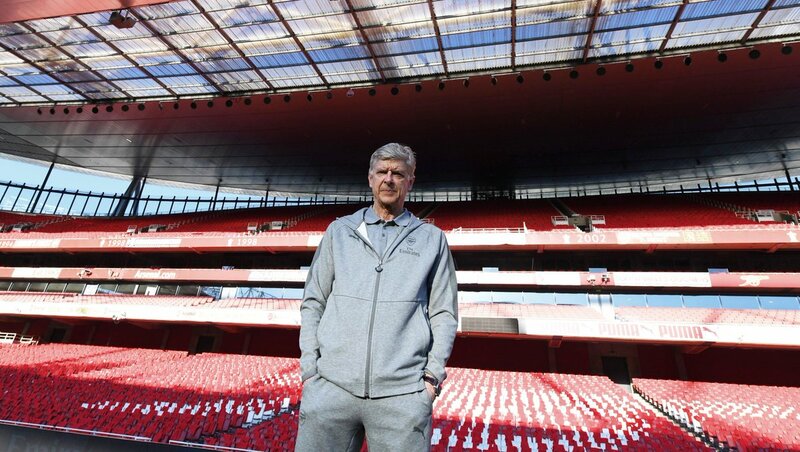 and understandable if Wenger wants a strong side for final home game, but also think Thurs was tough one physically and mentally. Would guess Mavropanos, Kolasinac, Maitland-Niles, Iwobi and Aubameyang back in, but not sure about rest. Utd game last night highlighted down side of defence first coach at big club almost as deliciously as the Sevilla home game. He wants a machine, cautious at heart, who are constantly calculating the odds in a game and loosening up, but don’t go crazy early, or tightening up accordingly and, if in doubt, caution. Of course it will work fairly often, including against good teams, what with the players at his disposal and resources of club, but bloody hell, some of the sights it throws up. Strange, strange sights, with the amount of caution involved doing much to undermine the prospects of good football, and in a situation like the Sevilla game going much further, and leaving players genuinely confused about what to do. Without City he might get away with it, particularly if they could nail a couple of special players add to the team. He is the extreme of course, but it all seems relevant when considering how a defensive coach could work, or not, for us. I see Jose threw Rashford and Martial under his parked bus last night, basically said one is not good enough to be a starter and the other is not good enough to be even on the bench. Both players should demands moves this summer. Andre Marriner has been named as the referee for Arsene Wenger’s final game at the Emirates on Sunday. 8 days of our season left, 8 days of Arsene Wenger as our manager, 8 days of Per Mertesacker as our captain and player, even looks like 8 days of Santi Cazorla being an AFC player too, he says AFC have as of yet not offered him a new contract. 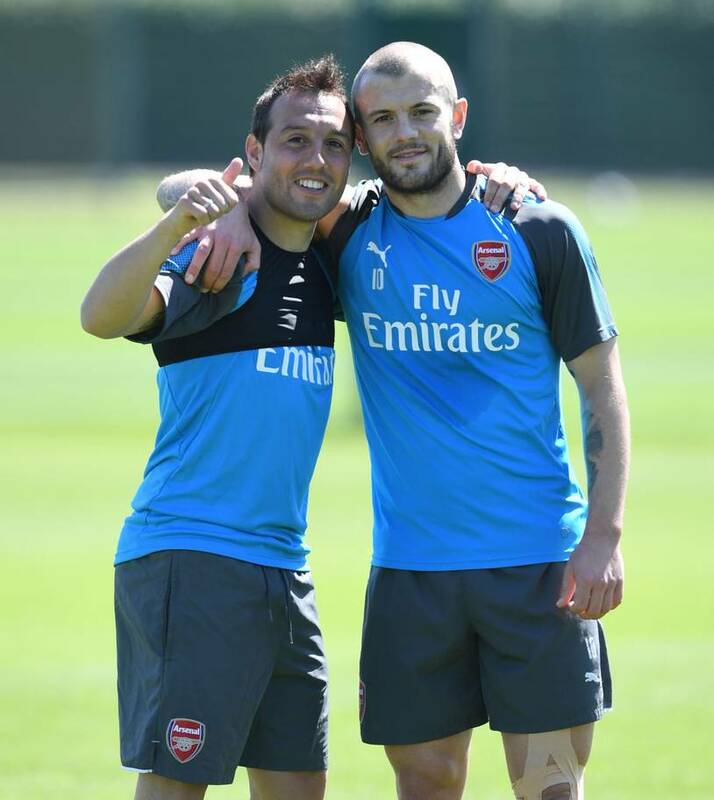 Jack has not yet signed a new contract either, so may be 8 days of him as an AFC player, Koscielny has an injury that might mean his days at AFC are over too. that is a possible 5 massive changes incoming, and of course there will be the normal turnover of players, especially the sort of turn over often seen when a new manager comes in, its a time for players who don’t want to be here to leave, players the new guy don’t want to leave, and of course we have not only the new manger to look forward to, but what ever new signings he gets brought in. Of course there is always the worry that too much of a turnover can see a club struggle, especially with a World Cup meaning major disruption to pre-season, we also need to win tomorrow, or at the very least not lose, so that we can get 6th spot and not have EL qualifying in July. #Stoke is going down. 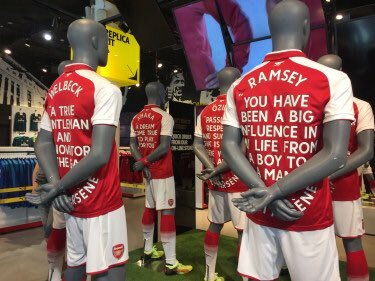 That utterly reprehensible symbol of anti-football, the team of Shawcross that broke Ramsey in two pieces & celebrated by their fans, is down into the championships. 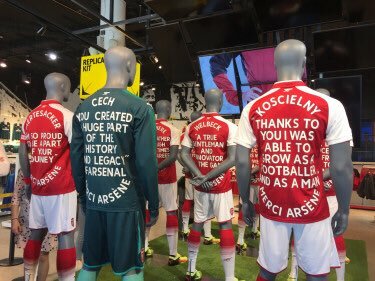 Yet there are gooners who want us to become anti-football. Thanks Crystal Palace…not to mention WBA. Now for Everton to lose. Happiness for the day. Most important Fergie time ever! Emile Smith-Rowe was one of the youths in training with the first team today, I would really love if Arsene Wenger is the one to give him his BPL debut. The Star, yes, I know, are reporting sources close to Arsene claiming he has been hurt by pressure from Ivan to leave. Guess we may never know. 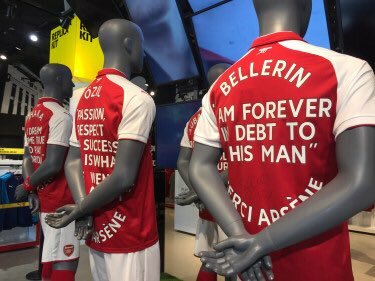 I have never bought into the board civil war claims but not difficult to imagine some may have had differing opinions on mr Wenger staying for their own various reasons. But it probably no longer matters. Has there ever been such a reaction to the end of a manager’s career at a club as this? I don’t recall such a massive show of love and appreciation from so many players and explayers. This is truly remarkable. mandy not a snowball in hell’s chance of unity, the malcontents will turn on the next manager at the first run of poor results, you only have to look at how the mention of any proposed candidate is met with – oh not him, I want x, not y – and it matters not that a month ago they same person wanted y and not x. Sadly, I suspect you are right on unity Eduardo, Senor Allegri or Simeone might keep em quiet for a while, but I am not sure many others will. If there is a God, Arsenal will have one more season from the Little Magician, @19SCazorla. Together with @MesutOzil1088 they will give the new manager a brilliant start. I have no doubt, none whatsoever. Fook Simeone. No way are we going to play defensive counter-attacking football. Fook him and all the defense-first coaches/managers. 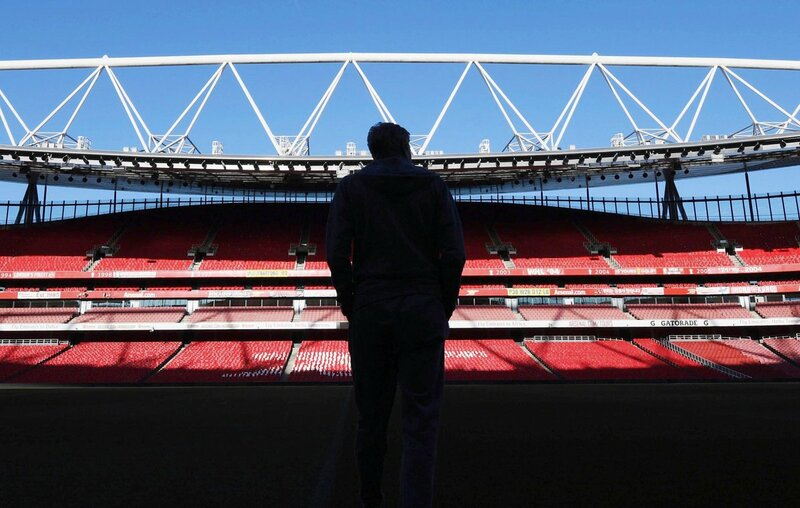 So today is Arsene Wenger’s last home game. I don’t even know why. I look to the future with hope because of the platform he’s given us. I don’t really care about the lack of a storybook ending. And in some ways, I am relieved that I will not have to fight the narrative against him, or to watch the match and suffer with him. And maybe that’s why I’m feeling distraught. Not suffering with him in the hope of glory, of seeing art..it’s a loss of connection with a large part of my life. The vultures in the media will be orgasmic if a sour atmosphere and empty seats are in evidence today. The commentary will be vile as usual I expect and Marriner and the PIGMOB will be desparate to end his reign with a home defeat so they can all toast themselves in their grim northern lodge somewhere. Bastards the lot of them.